Purchase this product and earn 382 Reward Points! Learn more. 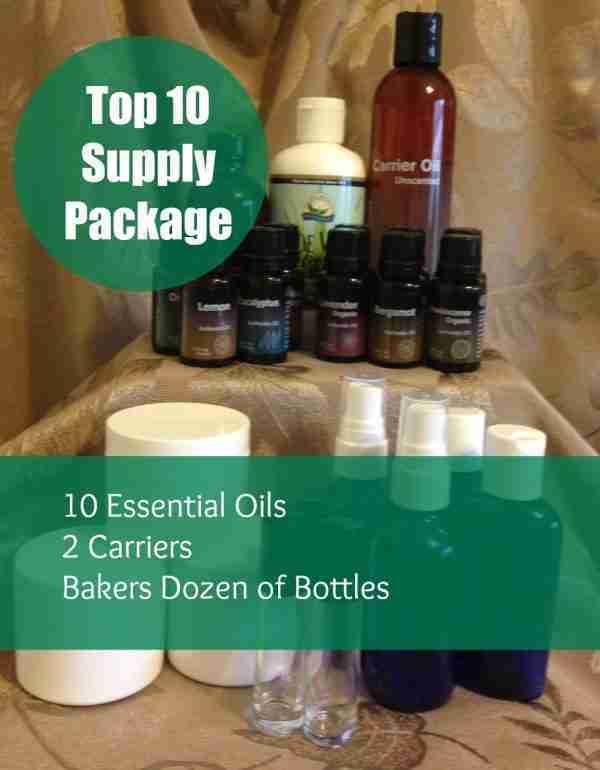 The Aromatherapy Top 10 Supply Package offers 10 essential oils, 2 carriers and a bakers dozen of bottles. 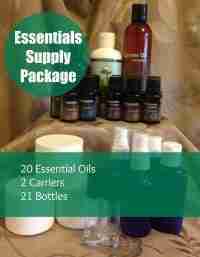 Blend up your favorite aromatherapy recipes for you and your clients with this convenient package of supplies. Bottles: 2oz. 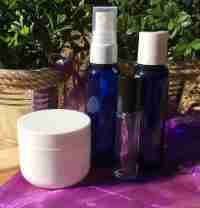 Spray and Flip Top bottles, 2oz. Jars and .33oz. Roll-on bottles.